Knowing how to get rid of sweat stains will banish those yellowing areas under the arms or around the collars of your favorite t-shirts and blouses. On first seeing them, you probably thought bleach would get them out, right? Think again. Bleach can make sweat stains even worse! Fortunately, there are ways to get rid of sweat stains using things you probably already have around the house. 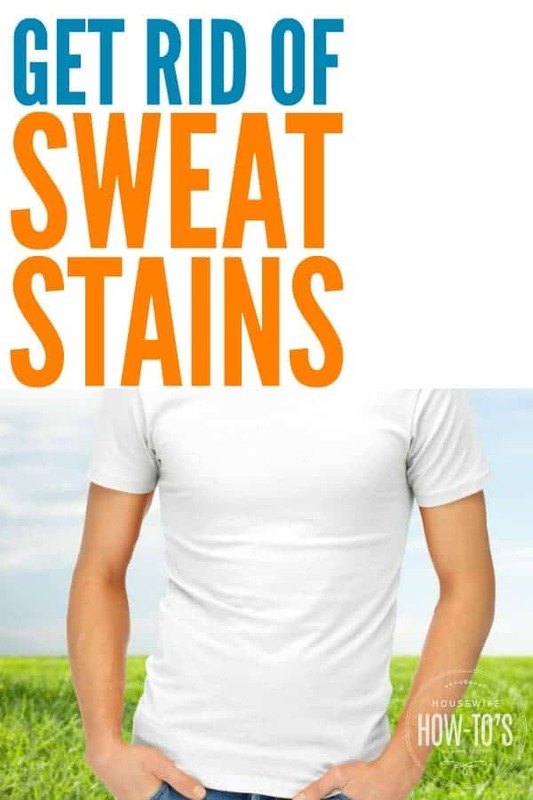 Surprisingly, what most of us think of as sweat stains aren’t there just because you sweat. They happen as a chemical reaction between the aluminum in antiperspirants and your sweat — wear a non-aluminum antiperspirant, and you won’t have them. But, since aluminum works to block your sweat glands, many people find antiperspirants without it aren’t as effective. So if you don’t want to change your pit stick, try one of these methods instead. 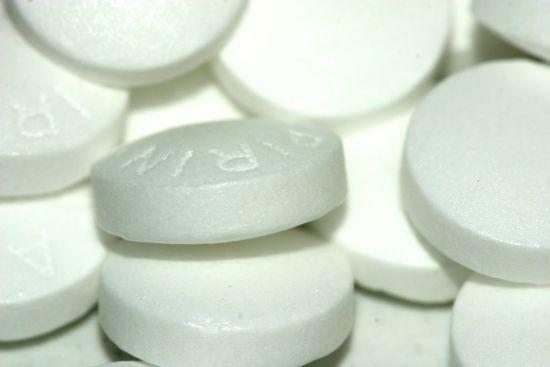 While doing laundry may give you a headache, the aspirin isn’t for you: they’re for the pit stains. The salicylic acid in aspirin dissolves the bonds between the stain and fabric, making it easy to launder away. How-to: Crush two into powder and stir them into a bowl containing 1/2 cup warm water. Arrange the shirt, so the armpits are immersed in the water and let them soak for 4 hours, then launder the shirt using the hottest setting the fabric can handle. The combination of 2 teaspoons liquid dish detergent and 1/4 cup hydrogen peroxide is very effective on sweat stains. That’s because liquid dish detergent is designed to dissolve grease, and hydrogen peroxide helps lift stains. How-to: Stir the combination together in a small bowl, then rub it into both sides of the fabric. Let the item for an hour and rinse in warm water and launder as usual. Note: hydrogen peroxide has a bleaching effect, so don’t use this on anything but white shirts. Lemon juice has powerful bleaching properties, which is one of the reasons it’s an age-old way of lightening hair and dark spots on the skin. Since it’s acidic, it will also dissolve the chemical bond between the stain and clothing. 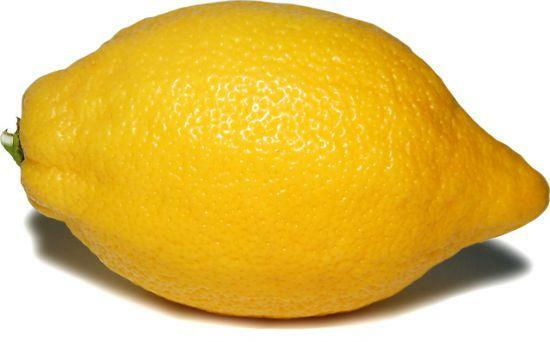 How-to: Squeeze some lemon juice on the sweat stains in the morning and put them out in the sun for the day. As with the hydrogen peroxide solution above, use this only on white fabrics. Vinegar is a powerful grease-cutter. In this solution, it’s used to dissolve the chemical bond then baking soda is added, along with hydrogen peroxide, to lift away the grime. How-to: Combine 1 cup of warm white vinegar and 2 cups of warm water in a bowl, then soak the shirt in it for a half-hour to counteract the aluminum residue. Meanwhile, make a paste out of 2 tablespoons baking soda, and 1 tablespoon each table salt and hydrogen peroxide. After soaking the shirt, squeeze out the moisture and rub the paste on both sides of the sweat stains. Wait 20 minutes then launder the shirt. • Wear an undershirt: One generation ago it was unheard of for a man to wear a dress shirt without a layer beneath it. 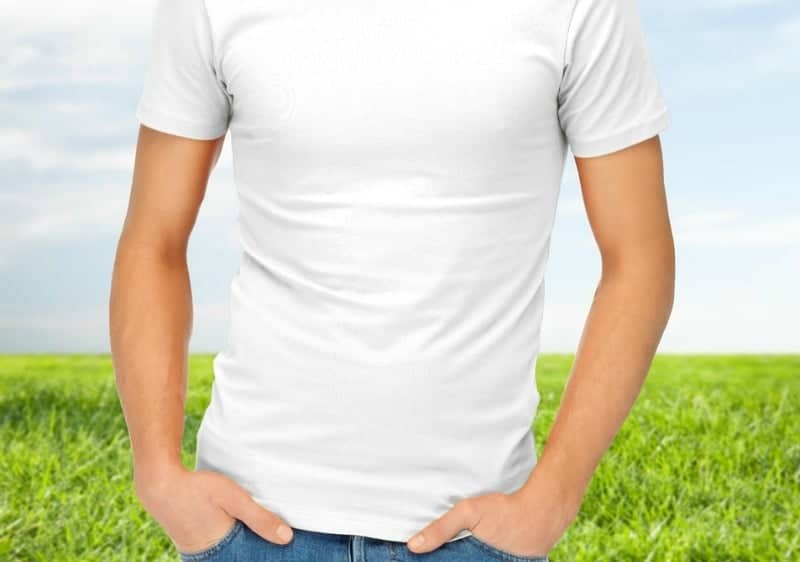 That meant a white t-shirt, which these days men pretty much wear as outerwear, too. Yes, those inexpensive undershirts will get sweat stains, but the pricey (and more difficult to launder) dress shirt won’t. The solution is to wear them only as undershirts, just like your dad did. • Go bare there: Miley Cyrus may have made underarm hair temporarily fashionable for women, but hairy armpits lead to more sweat stains. Keep your pits shaved, or at least trimmed, to reduce discoloration. • Launder right away: Whenever possible, launder your white t-shirts, dress shirts, and blouses immediately after wearing to stop the aluminum-sweat reaction. If you don’t have time to do the laundry, at least rinse the armpit areas under cold water to remove antiperspirant residue and stop discoloration. How do you get sweat/yellow stains out of colored clothes? The first and last methods above are color-safe. I have yellow “sweat stains” on a new sweater, BUT I used a natural deodorant. It shouldn’t have had any aluminum. So I’m wondering if the same formulas might work. It’s merino wool so trying to troubleshoot in advance. I would try the first option but use cool water since it’s a wool sweater.